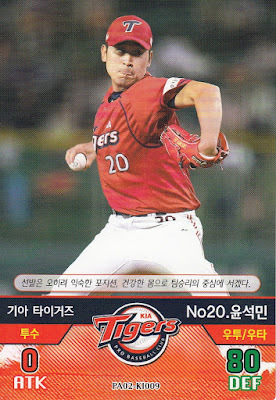 As I mentioned the other day, I picked up a box of one of the latest Korean baseball card sets recently. 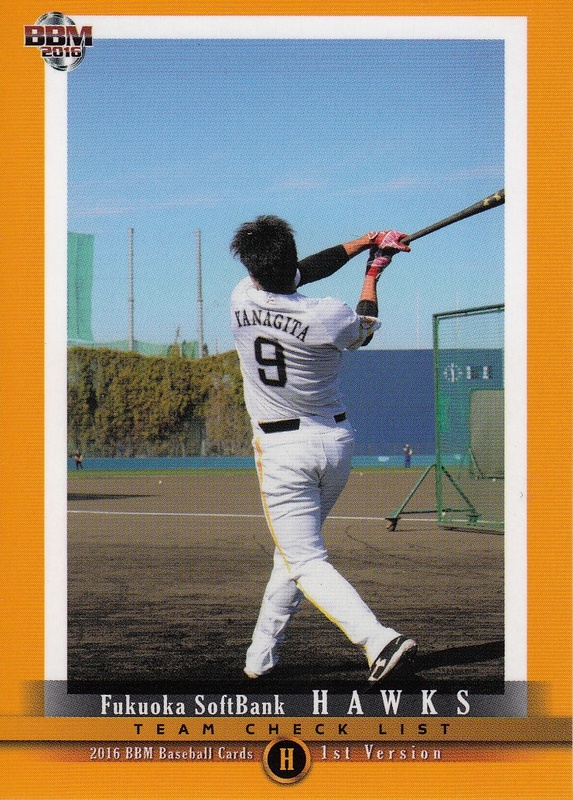 This is the second of the "Baseball's Best Players" sets and it's very similar to the previous one. 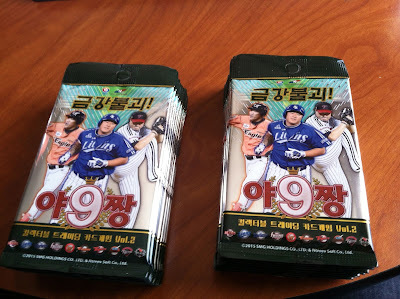 Each box contains 20 eight card packs. Each of the eight card packs contains seven base cards and one parallel card. 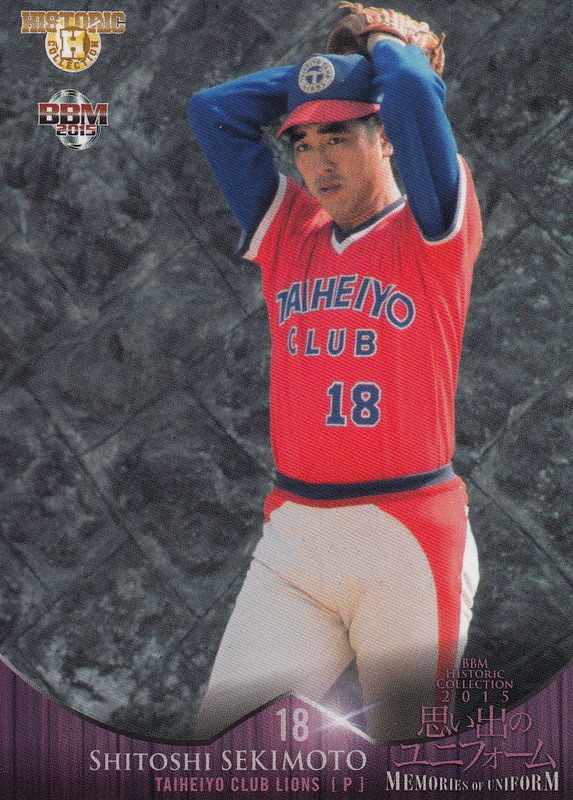 There are no short print, autograph or memorabilia cards available with this set. I'm not sure I'm going to say anything about this set that Dan hasn't already said but let's give it a shot. The base set has 100 cards split evenly among the 10 teams in the KBO. The 10 cards for each team appear to be a lineup for the team (each team inludes only one pitcher) although I can't say that for sure. 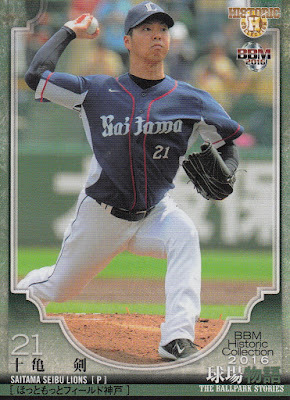 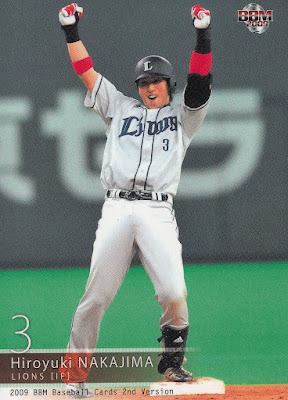 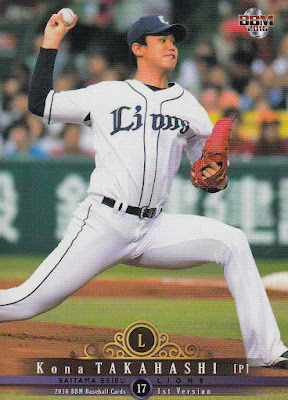 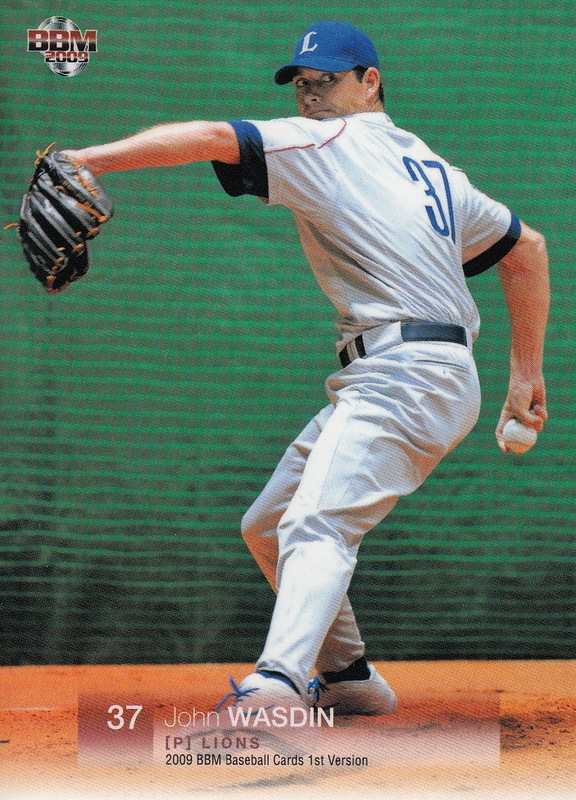 Each team is numbered separately - the Doosan Bears cards are numbered PA02-DO001 to PA02-DO010, the Samsung Lions cards are numbered PA02-SA001 to PA02-SA010, etc). 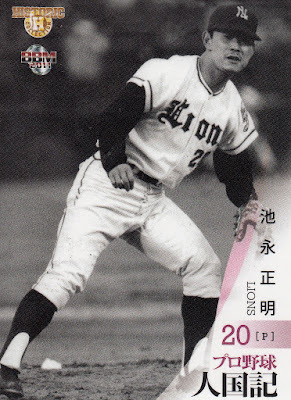 The cards are designed to be used in a collectible card game - the fronts have "ATK" and "DEF" numbers that I assume mean "Attack" and "Defend" and the backs of the cards are all identical. If all of this sounds familiar it's because the previous set had all these same features. 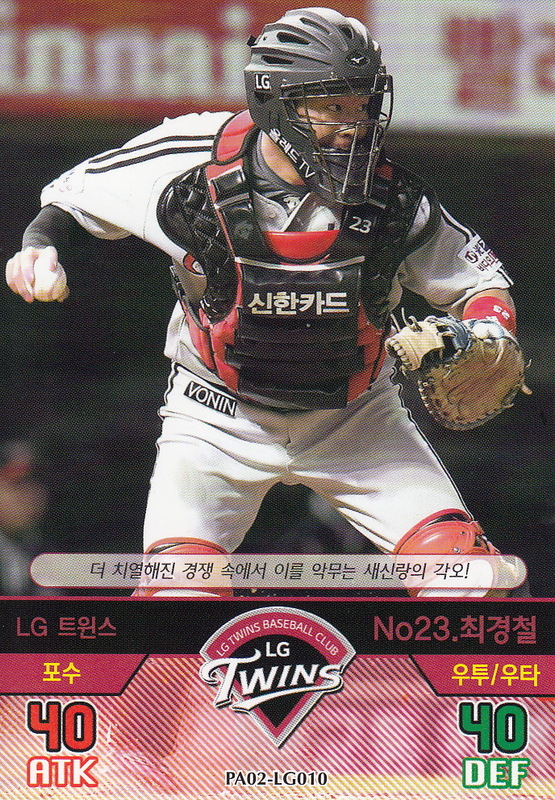 In fact, the design of the front of this year's cards is identical to the design of last year's cards. 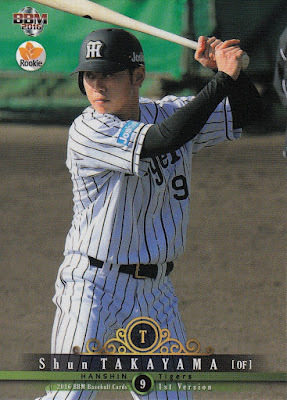 And the backs are also exactly the same so if you were actually playing this game you could use cards from either set interchangeably. The big difference between this set and the previous one is in the previous one, the "Clear Card" was actually a translucent plastic card while this one is "just' a regular card. 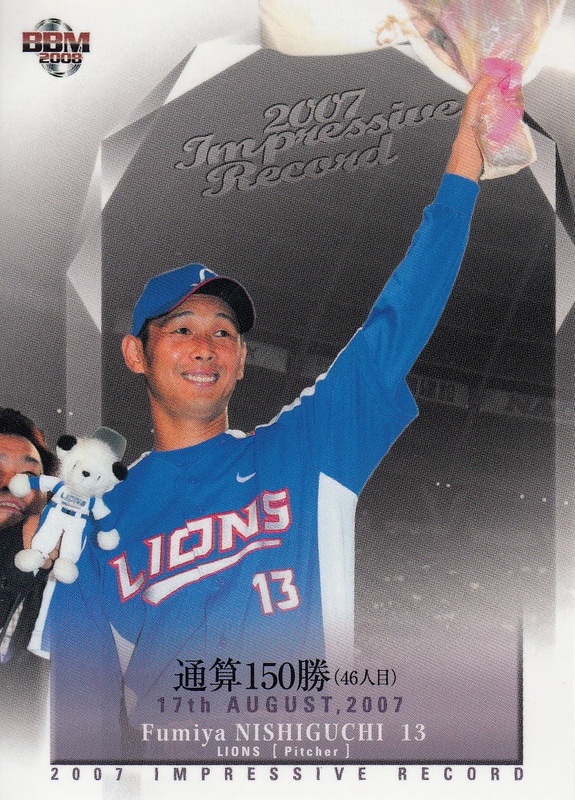 I think the reason for that is so that the card can be used in game play. 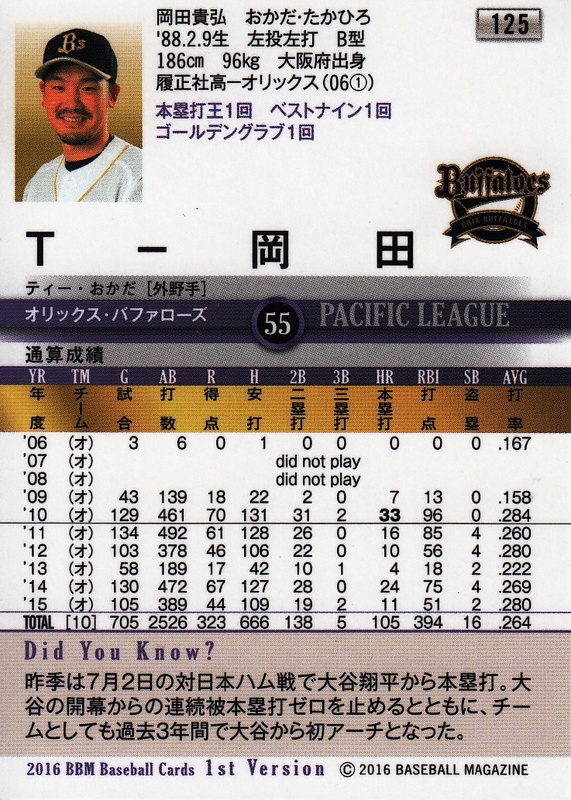 Take a look at the "ATK" and "DEF" values on the Park card above. One the "regular" card of Park, those values are 50 and 40 respectively so the parallel version of this card is much more powerful than the regular card. These are the only parallel cards that have boosted values. As I said above, the box contains 20 packs of 8 cards - 7 base set cards and 1 parallel. 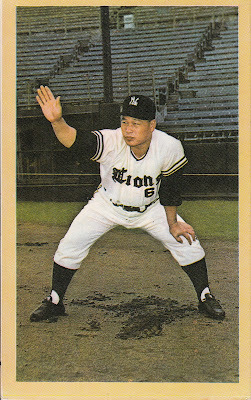 There are 100 cards in the base set and 40 possible parallels. 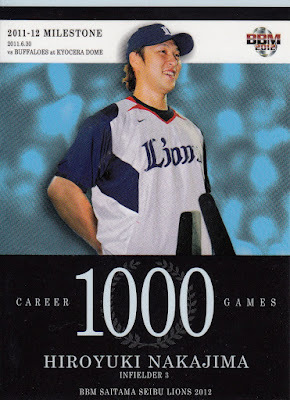 The box should contain 140 base set cards and 20 parallels. 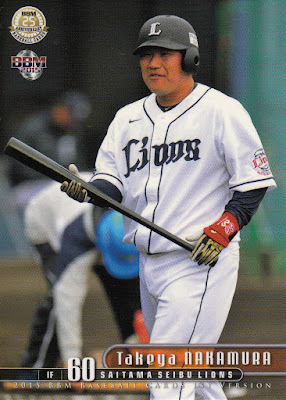 Like last time, I'm short a base set card. Somehow one of my packs must have been short a card but I didn't notice while I was opening the packs. 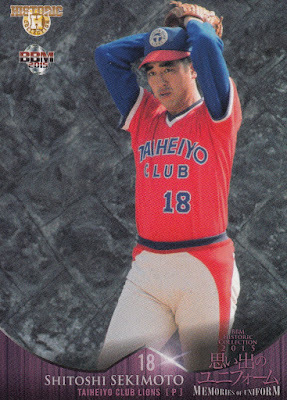 The good news is that I got a complete base set. I haven't spent a lot of time looking at the players in the set but there is overlap between the players in this set and the players in the previous set. Dan added a checklist for the set over at The Trading Card Database which is how I identified the players in the samples above. 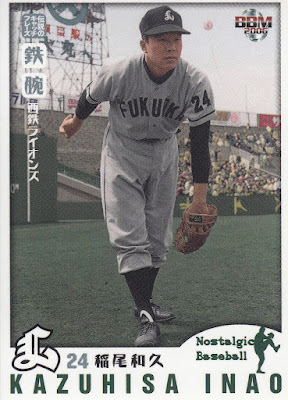 As usual there are no foreign players in the set. 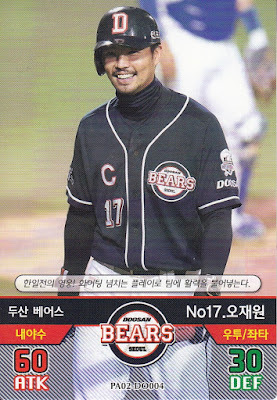 I mentioned in my post about the new 1st Version set that typically BBM will use photos from last season for the cards (unless the team changes uniforms over the winter) when they can. 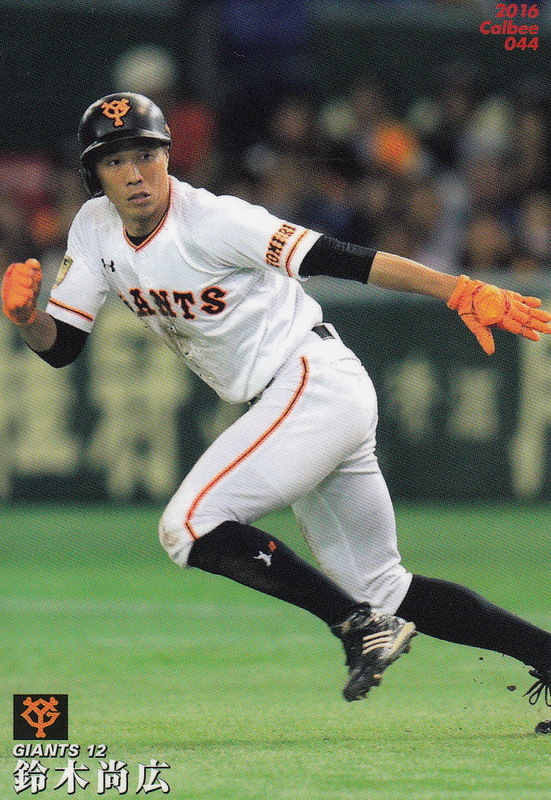 They have to get photos in training camp, however, for anyone who is new to a team - draft picks, new foreign players and players who switched teams over the winter. 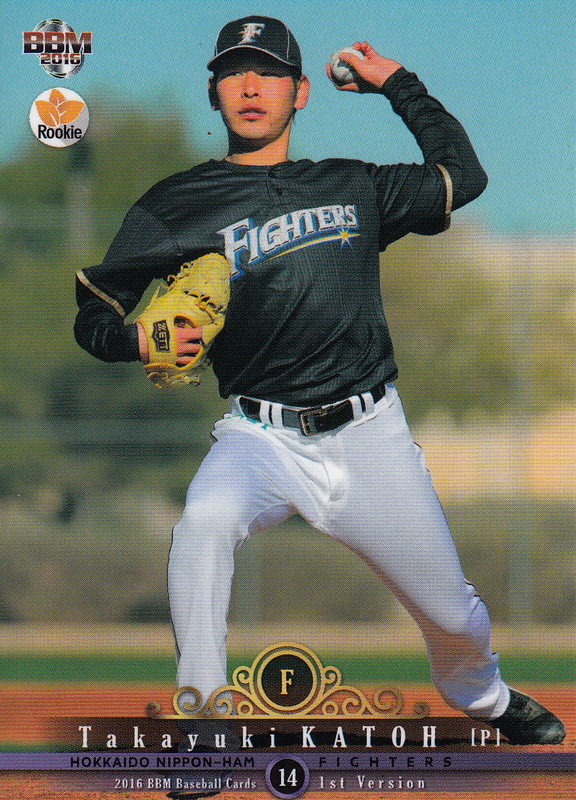 I left unmentioned the implications of this for this year's set - anyone who is new to the Fighters this year likely had their picture taken for their card when they were in Arizona. 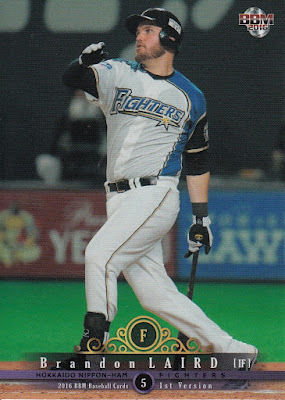 I found this photo on the Fighter's web site as well. 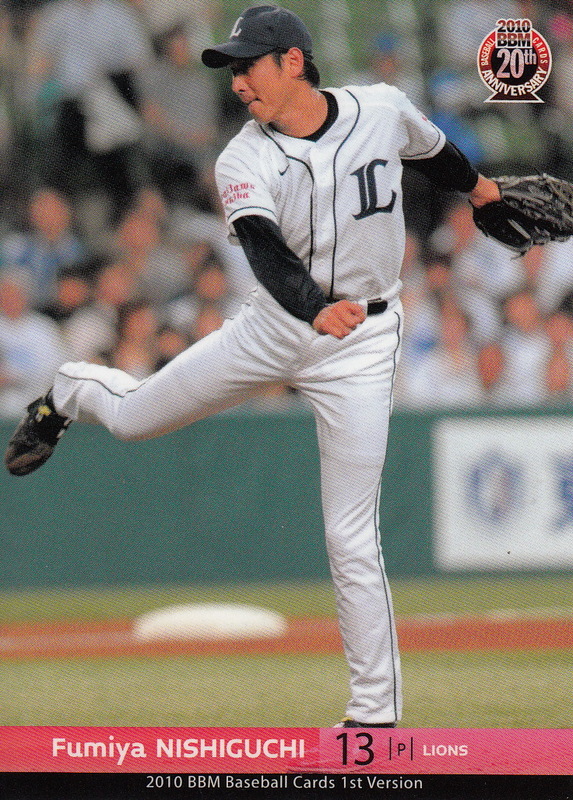 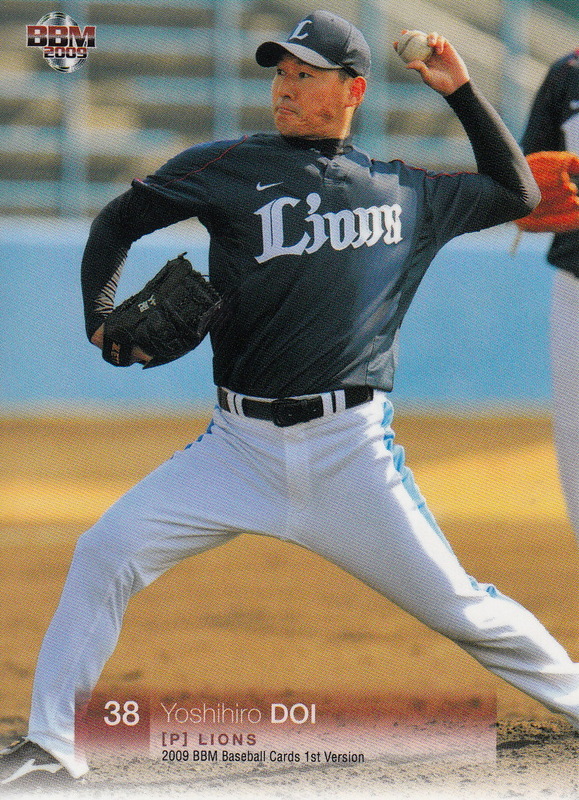 It shows Yuki Saitoh pitching against the Lotte Giants on February 8th. I'm kind of hoping that there will be a subset in the Fighter's team set devoted to their trip to Arizona but that's probably unlikely. Memorabilia Cards: Jersey cards for Tetsuto Yamada and Yuki Yanagita (as well as a combination card with both of them). 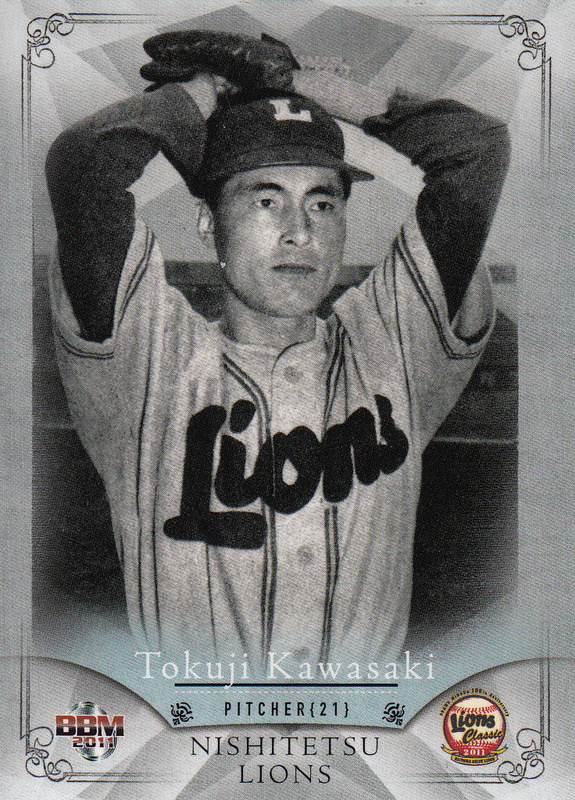 Each individual jersey card is serially numbered to 200 plus some sort of parallel version numbered to 20. 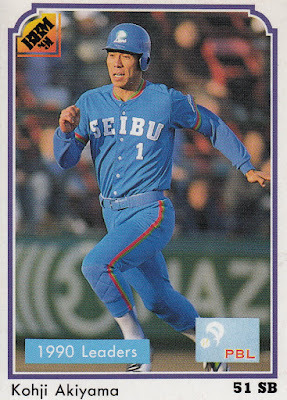 Not sure of the counts on the dual card. 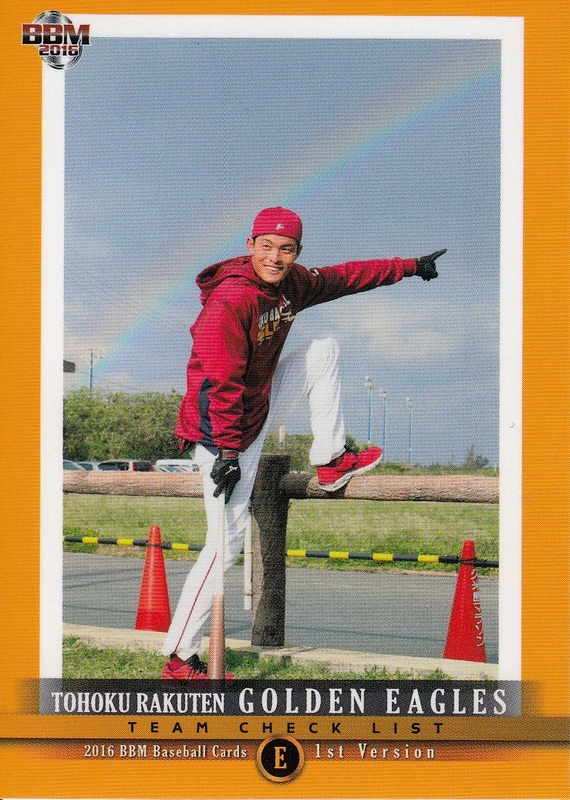 There are a large number of autograph cards available as well. 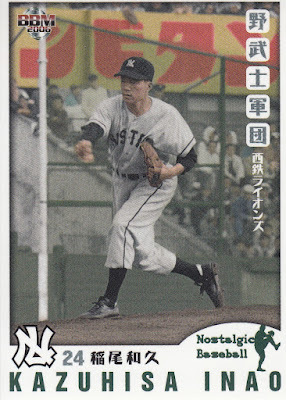 Parallels: 108 of the regular player cards have facsimile autograph parallel versions - silver, gold (#'d to 100), holograph (#'d to 50), red (#'d to 25) and green (#'d to 10). 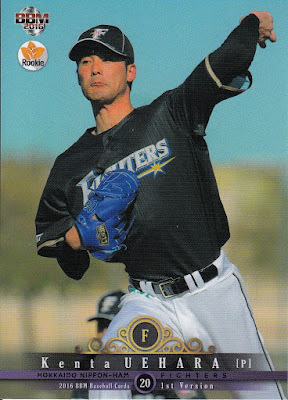 There is also a parallel to a number of the rookie cards (looks like the top seven for each team) that's #'d to 100 plus a "1of1" parallel for the top pick for each team. 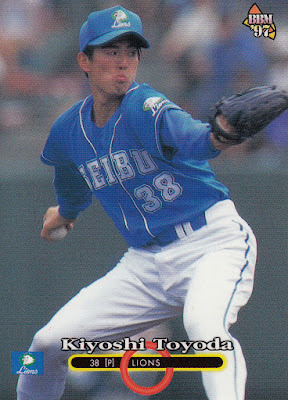 There's also parallel versions of the insert cards. 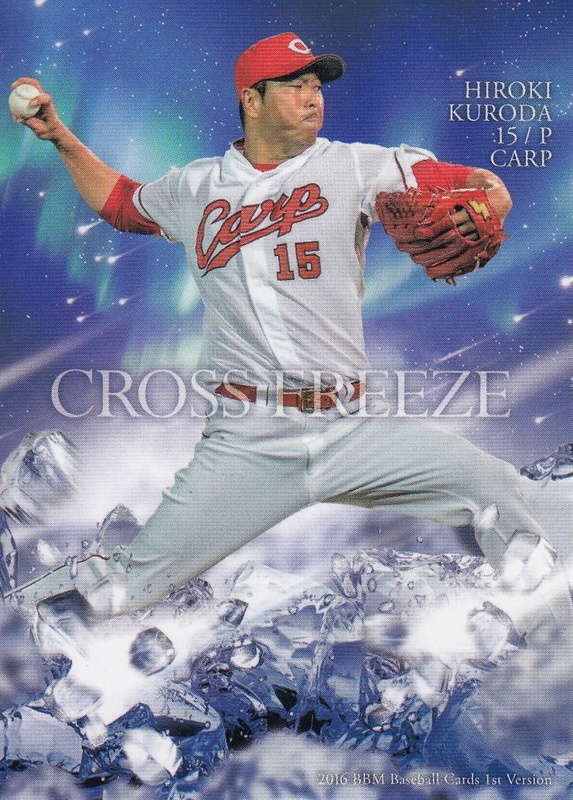 The Cross Freeze cards have two parallels - one that's serially numbered to 100 and the other that's a "1of1". This year's 1st Version set is an awful lot like last year's 1st Version set - same size set (smallest ever 1st Version set), same number of players per team (27), same kind of cross set subset ("Cross Freeze" this year instead of "Cross Plasma" last year). 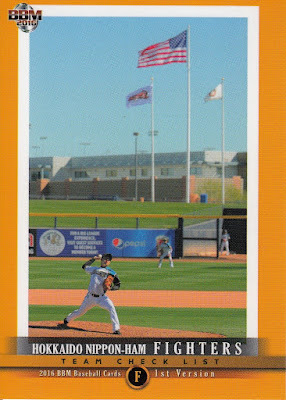 Even the parallels look pretty much the same as last year's. None of which is necessarily a bad thing, although I still would like there to be more players per team and I really miss the perennial "Leaders" subset that's been gone for the last three years. I'll repeat the complaint I made last year - with the 27 cards for each team including the manager and all the non-ikusei draft picks for each team, there's bound to be significant players left out of the set (although most of the guys I can think of off hand like Daisuke Matsuzaka and Tony Blanco haven't played at the ichi-gun level this year yet). 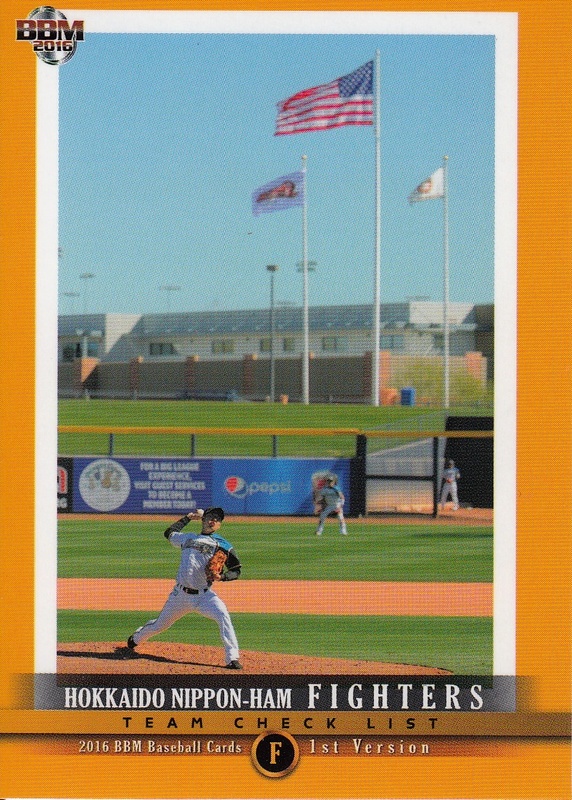 Most of the photography in the set appears to have been from last year with the exception of new players on teams (rookies, new imports and players who switched teams over the winter) - those photos were taken in early training camp. 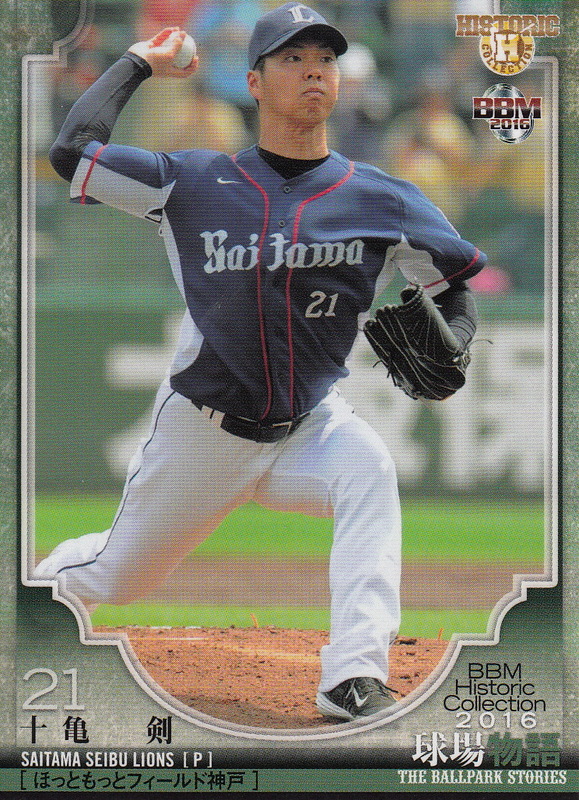 The exception this year are the Swallows who have new uniforms this year - all their photos were taken in training camp and show off the new uniform (as you can see in the above Yamanaka card). I'm not sure I've ever noticed a case before where BBM has photoshopped photos although I won't swear it's never happened. 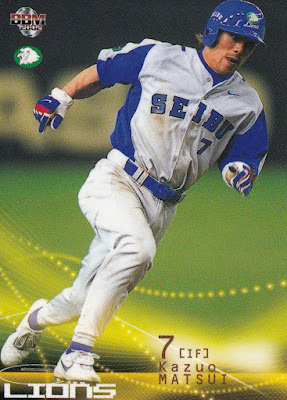 I do want to mention that this is the first BBM flagship set in which Motonobu Tanishige does not appear as a player. 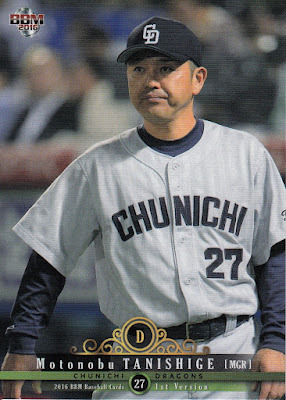 He is only in the set because he's the Dragons' manager, which puts his streak of appearing in BBM's flagship sets at an even 40 (11 "regular" sets between 1991 and 2001 and 29 1st and 2nd Version sets since 2002). 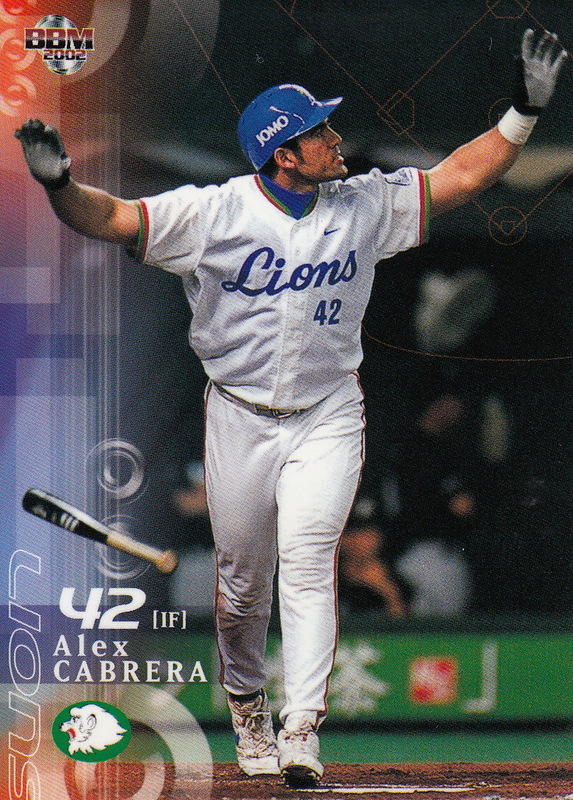 Unless BBM adds manager cards to the 2nd Version set this year (which they haven't done since 2005), his streak will end with this set. 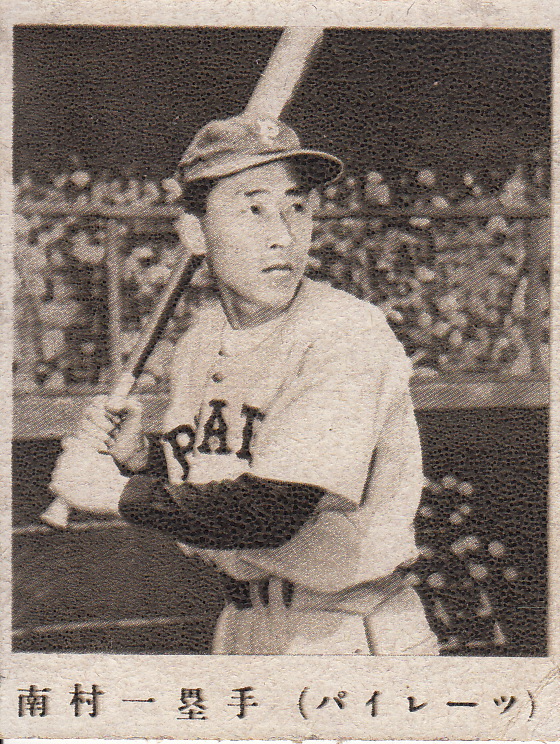 The sole subset in the set is the umpteenth cross set sub set that BBM has done. It's called Cross Freeze and has the usual image of a player projected on a repeated background with the full picture on the back. I assume that like last year this subset will be continued in only the 2nd Version set and not Genesis but I don't really know that for sure. I personally am getting a bit tired of these types of subsets (this is the fifth one in the last seven years) but someone must like them since BBM keeps doing them. 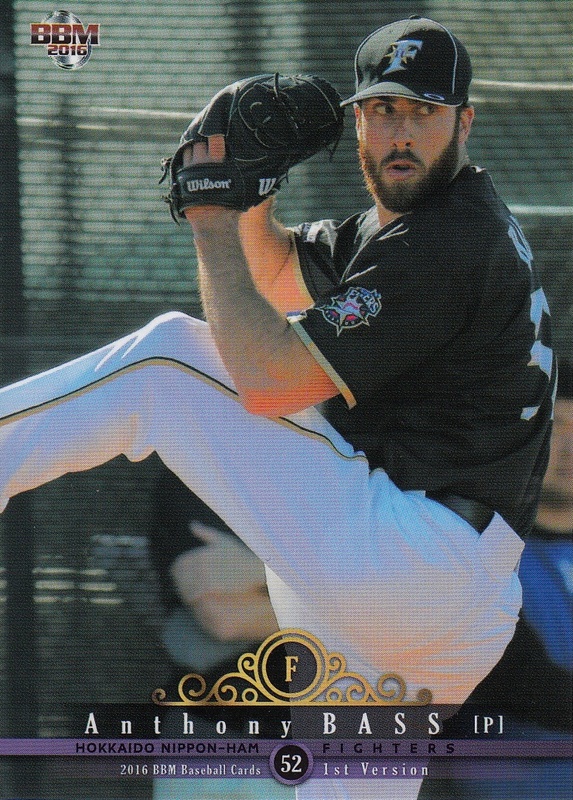 You can check out all the cards at Jambalaya (as usual). 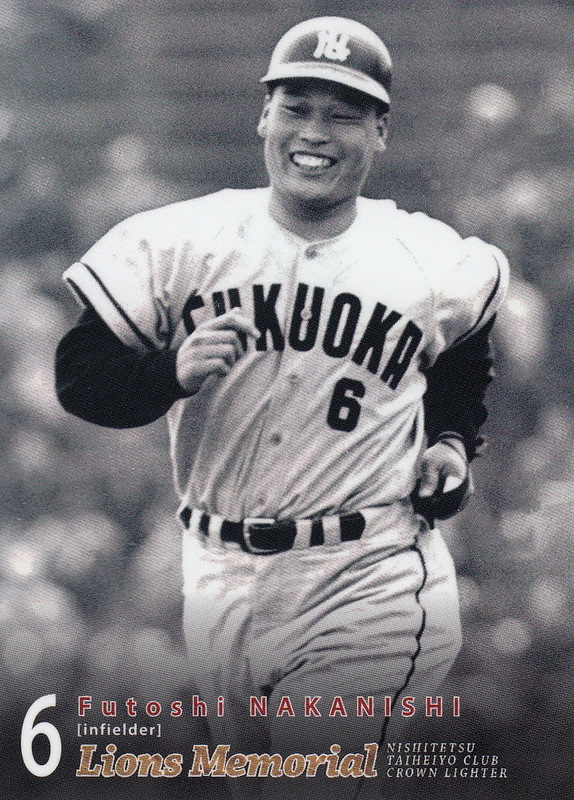 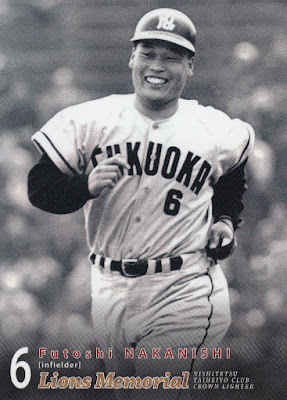 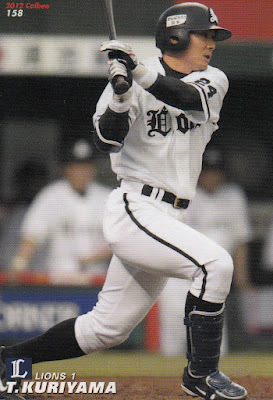 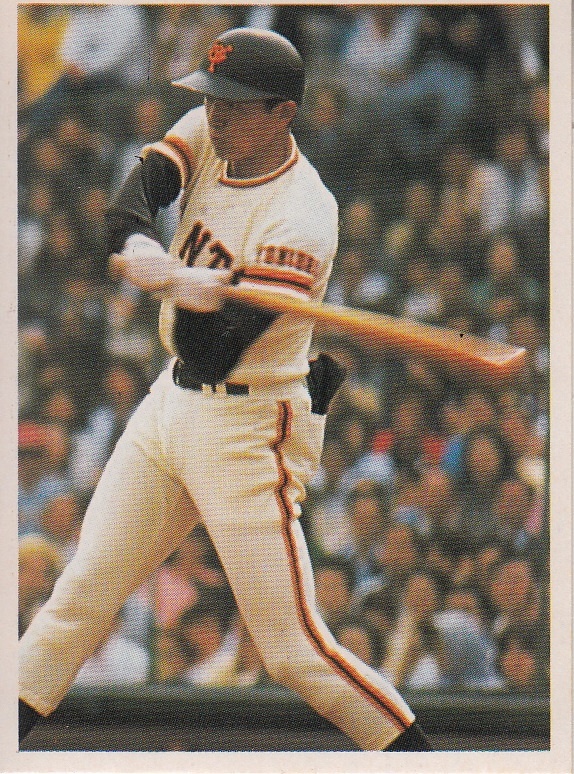 Former Giant and Orion Koji Yamamoto passed away from liver cancer a few days ago. 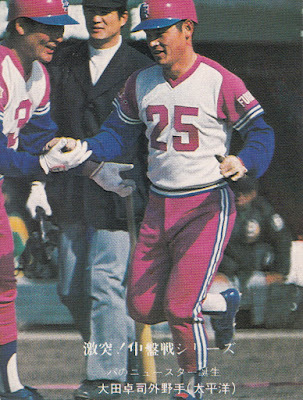 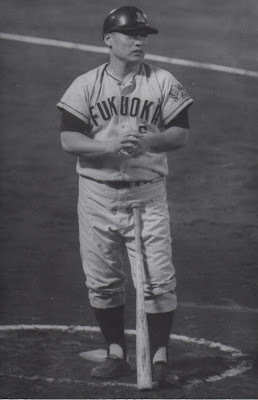 Yamamoto attended Hosei University and was drafted by Yomiuri in the fifth round of the fall 1975 draft from Honda Suzuka of the industrial leagues. 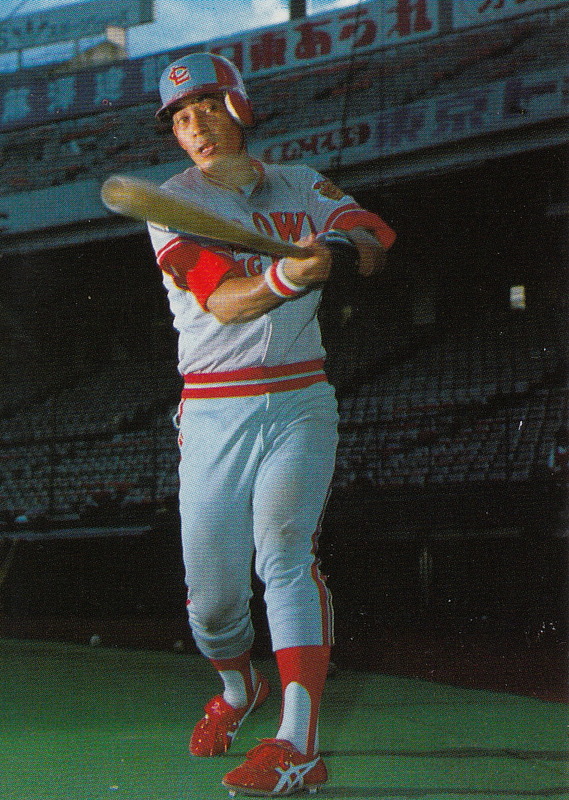 He and Kiyoshi Nakahata split the starting first baseman job with the Giants in 1981 following Sadaharu Oh's retirement but Nakahata won the role by hitting .322 that year and Yamamoto started playing more in the outfield. 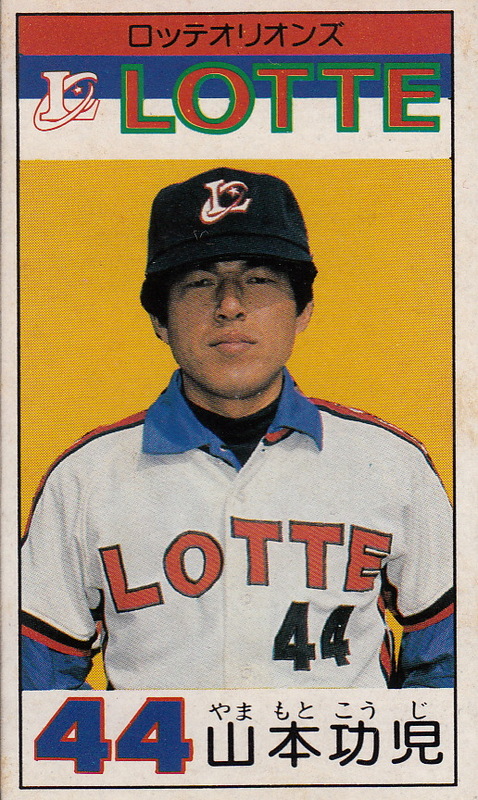 He was traded to the Lotte Orions between the 1983 and 1984 seasons and was their regular first baseman for the next two seasons. He retired following the 1988 season and became a coach for Lotte. 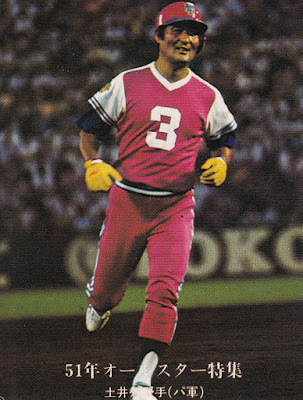 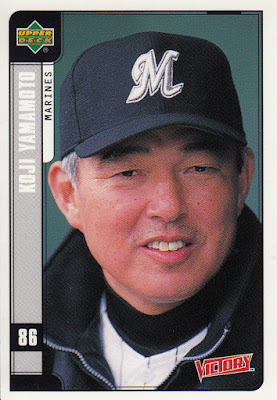 He managed the team (now called the Chiba Lotte Marines) from 1999 to 2003, finishing fourth three times and fifth twice before being replaced by Bobby Valentine. He coached for the Giants for a couple years after that and then became a baseball commentator. 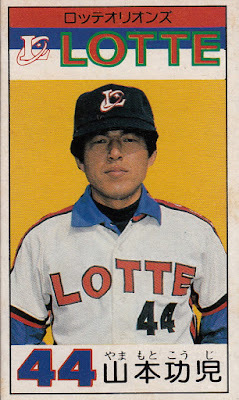 His son Musashi is on Yokohama's ikusei roster. 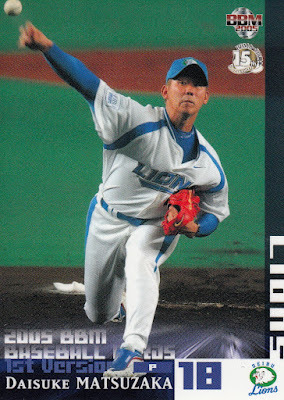 - BBM will be releasing the next three of their pack-based team sets in mid to late May. 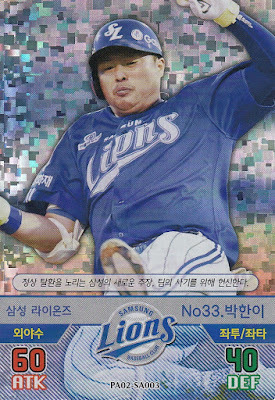 The sets for the Baystars, Carp and Lions will contain 81 cards in their base sets (broken into around 70 cards for the manager and players plus several subsets). The Baystars and Lions sets have a couple different insert sets containing 18 additional cards while the Carp set has 36 insert cards spread over five sets. 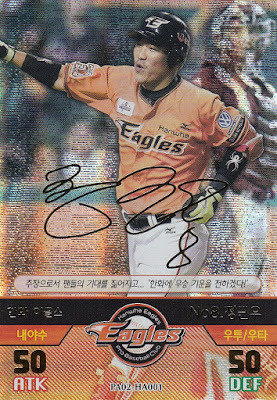 Packs for all three sets have randomly inserted autograph cards while the Carp packs could also have memorabilia cards. 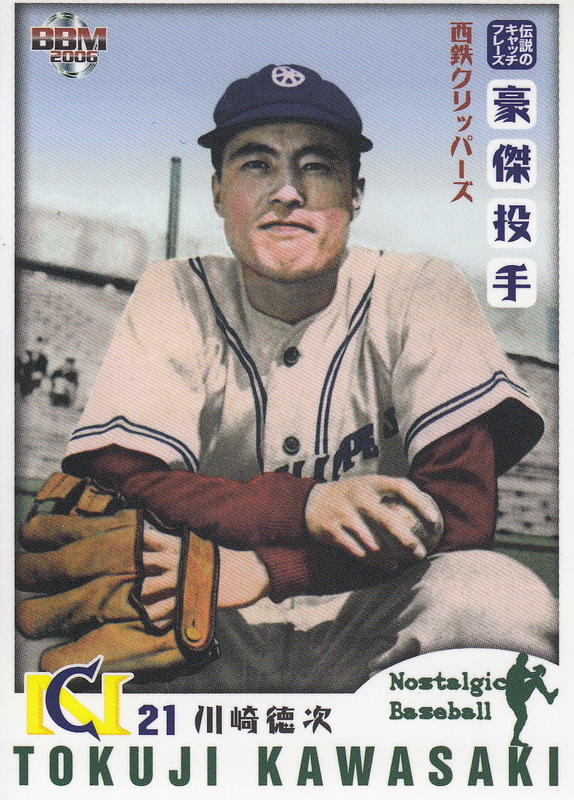 - BBM is releasing a box set for Tatsunori Hara called something like "Wakadaisho Of My Heart" this upcoming week. 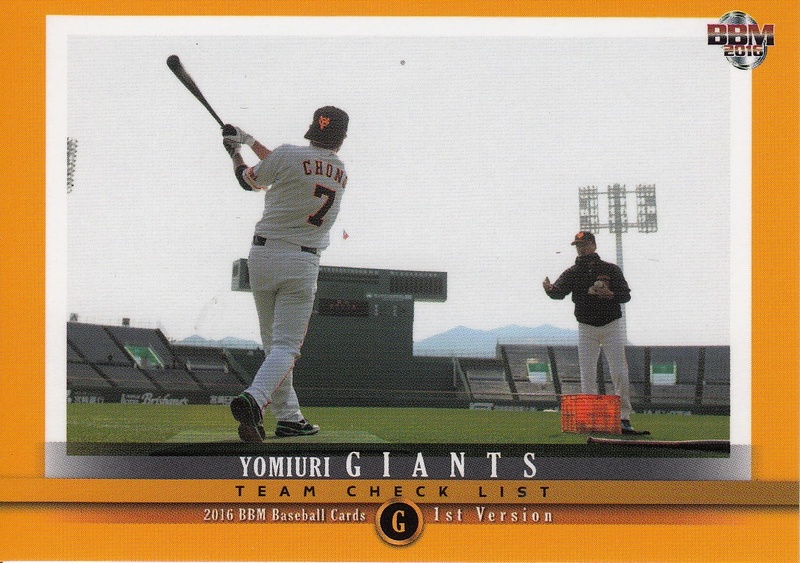 This will be a 36 card box set celebrating the career of the recently retired Giants manager. 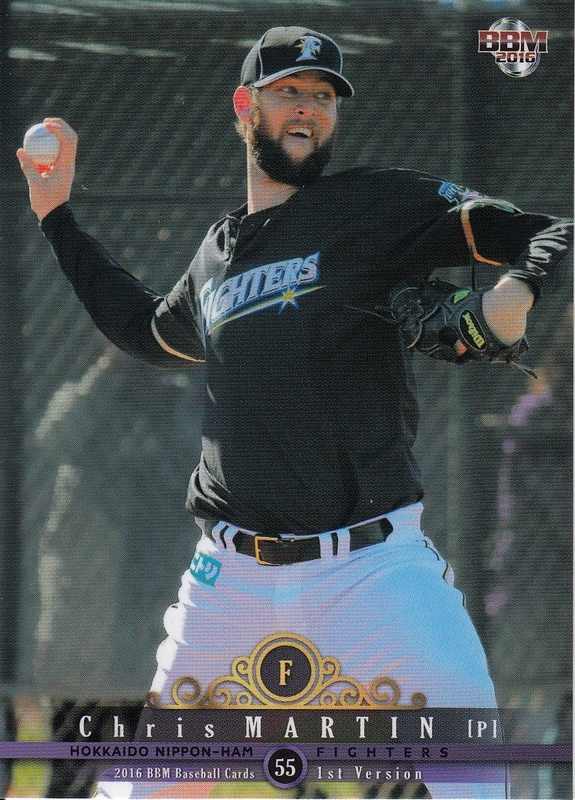 As you should expect from BBM, the box set contains the 35 card base set plus one "special" card that apparently could be from a wide variety of options - autograph cards, die cut autograph cards, "Super Metallic Silver" cards, "Super Metallic Gold" cards and I'm not completely sure what else. - In late June BBM will be publishing a box set called "Go Higher" featuring Shohei Ohtani and Shitaro Fujinami. 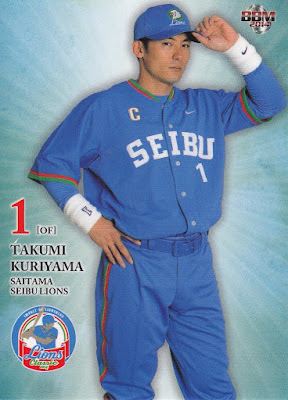 There will be 20 cards in the set - 18 cards for the base set plus one insert card and one "special" card. 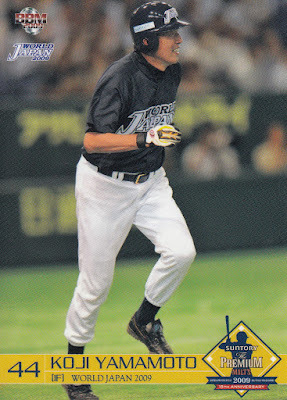 It looks like the insert card is one of four possible "RIVALS" card based on the insert cards of the same name from the 1997 BBM set. 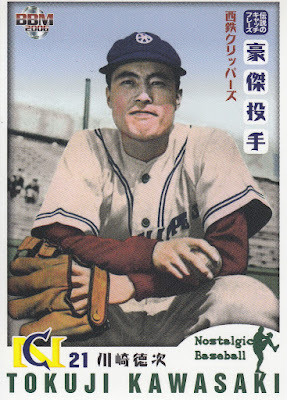 Once again there's a wide variety of possible "special" cards - memorabilia, autograph and metallic cards are possible. 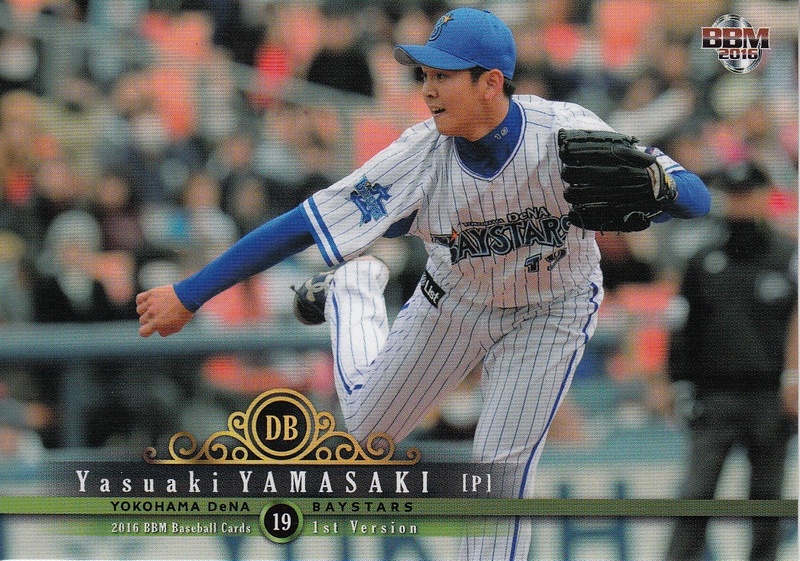 - Epoch is releasing their second "Stars & Rookies" set this week - this time for the Baystars. Like the earlier Lions set, this set's a bit of a high end set. 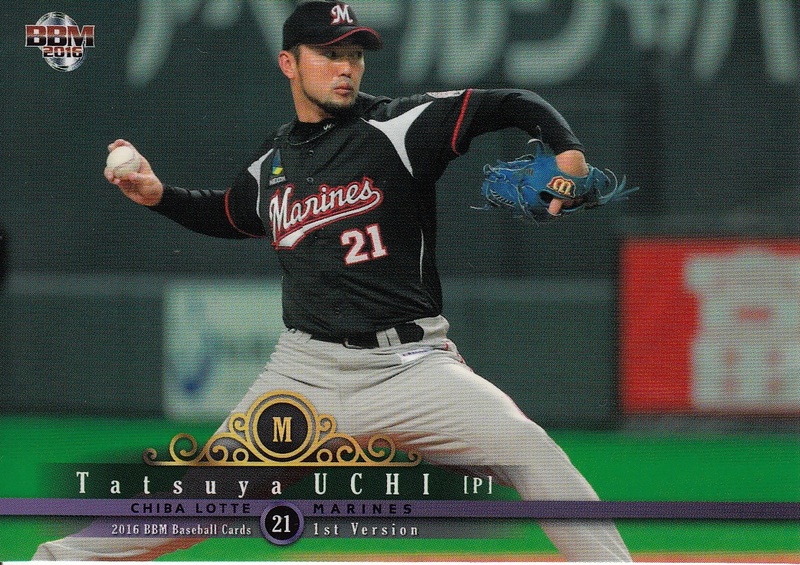 Each box (with an MSRP of 12,960 yen!) 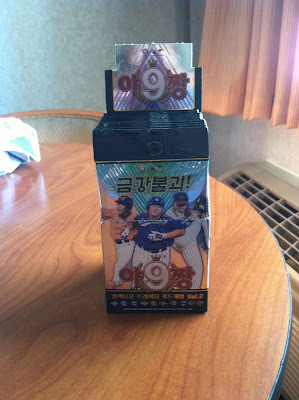 contains two mini-boxes that contain 5 base set cards and 1 autograph card. 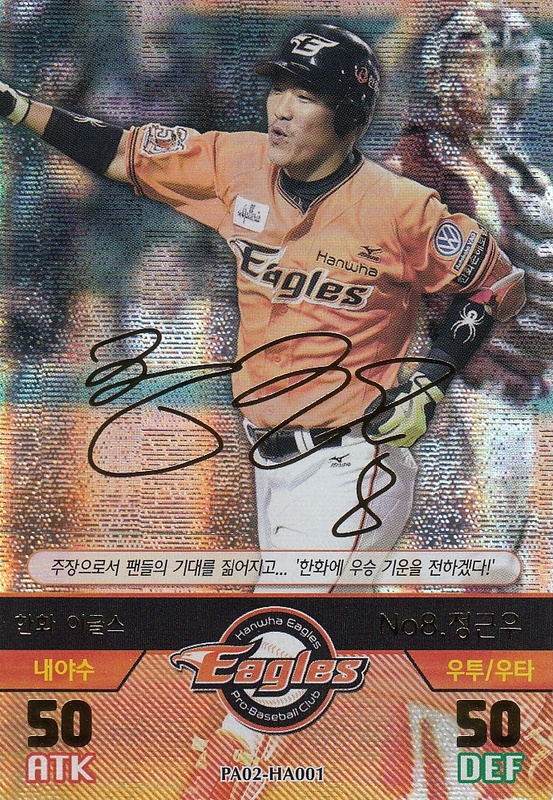 There are 30 cards in the base set and around 69 different possible autograph cards. 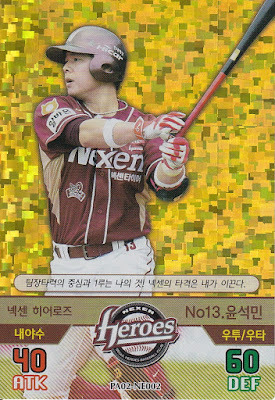 - I've been remiss in mentioning a couple new Korean sets that are actually already out. 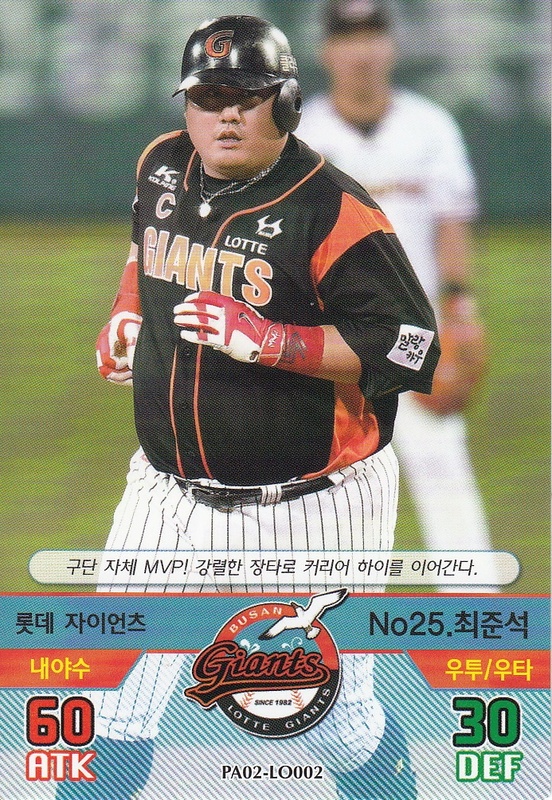 The first set is the 2016 version of the "Baseball's Best Players" set. This set is very similar to last year's set - including the design of the cards, the number of cards (10 cards for each of the 10 KBO teams or 100 cards in the base set) and the parallel cards (kira parallels for card #03 for each team, gold kira parallels for card #02 for each team and either gold signature or "clear" parallels for card #01 for each team). 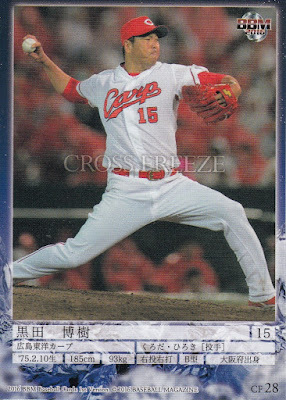 Probably the only real difference is that the "clear' parallels aren't actually clear plastic cards this time around. 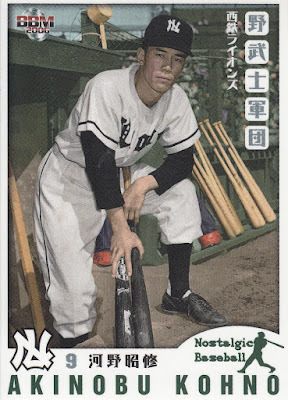 Not only has this set already been released but I already have a box of it - I'll try to get a post up on it in the next few days. - The same company that released the "Baseball's Best Players" set (SMG Holding?) 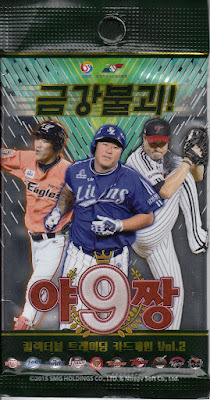 has also released box sets for two teams - Samsung and Doosan. 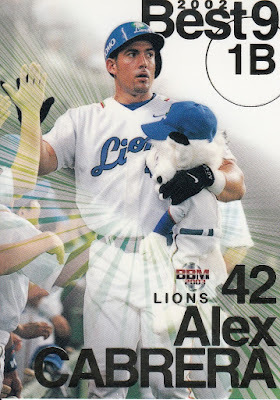 Taking a cue from how BBM has been doing box sets, these box sets contain the complete 44 card base set for each team plus some sort of "special" card. 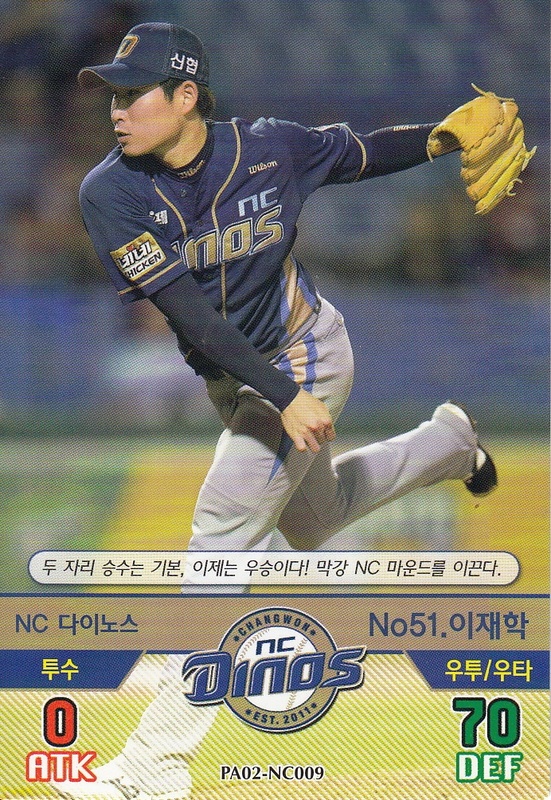 There are 10 possible "Super Stick" cards that are a clear plastic card along with 5 possible memorabilia cards and 6 possible autograph cards. 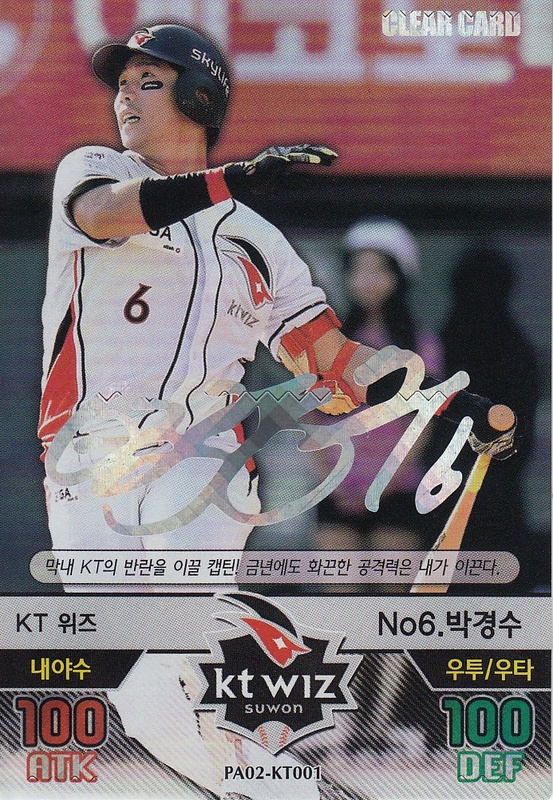 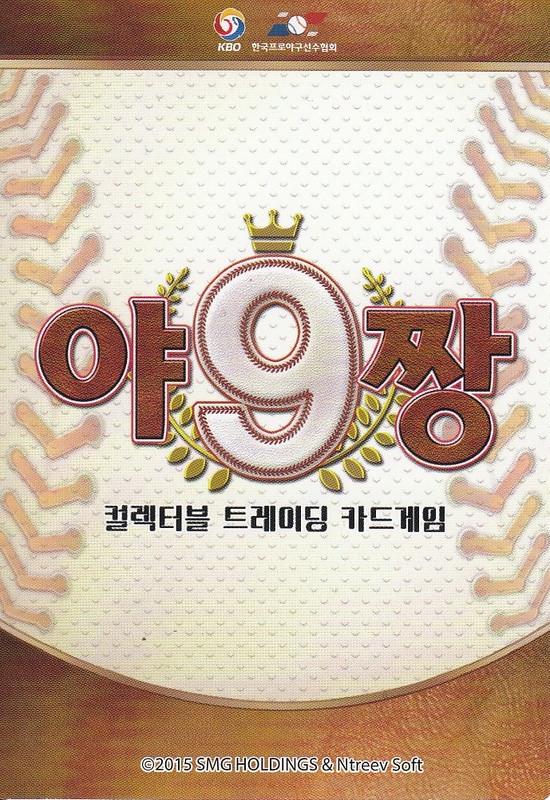 It is unknown at the moment whether there will be team sets made for the other eight KBO teams. 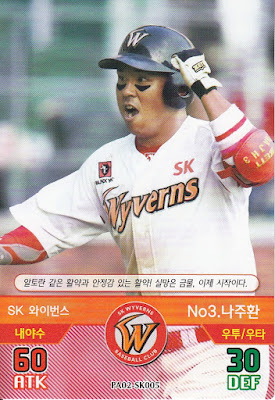 I want to mention here that Dan Skrezyna has started a blog about Korean Baseball cards and pretty much everything I wrote about the team sets is based on what he's found out about them. Dan doesn't have a lot of posts at his blog yet but he's got a number of pages up with useful information about the recent KBO sets along with videos of box breaks. 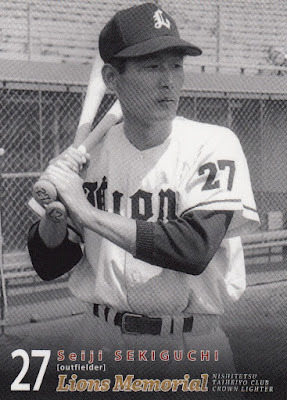 Following the 1949 season, the eight team Japanese Baseball League transformed into Nippon Professional Baseball with 15 teams split between the Central (8 teams) and Pacific (7 teams) Leagues. Two of the new teams would play in Fukuoka - the Nishi Nippon Pirates of the Central League and the Nishitetsu Clippers of the Pacific League. 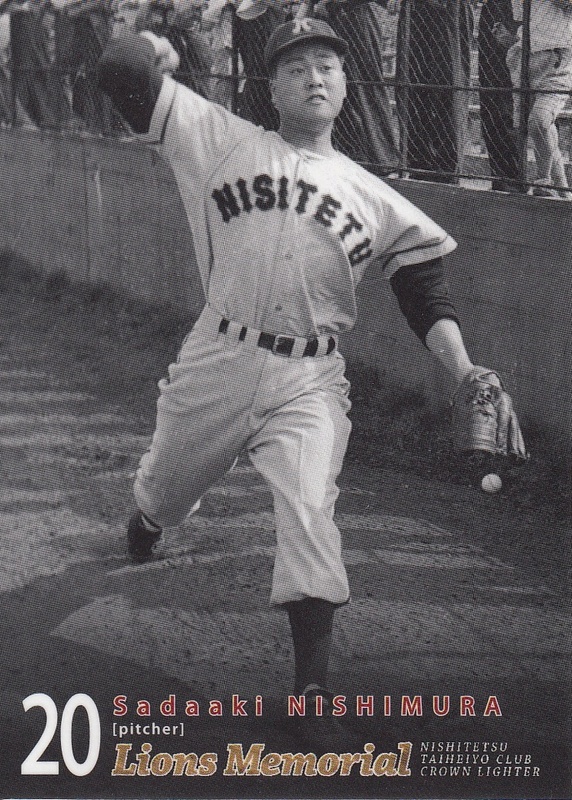 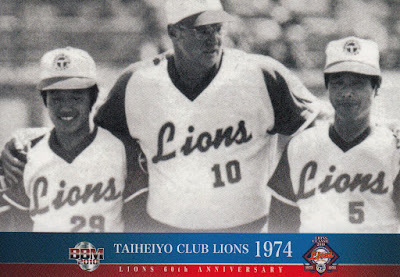 Neither team was particularly successful and after the season the two teams merged to form the Nishitetsu Lions who would replace the Clippers in the Pacific League. 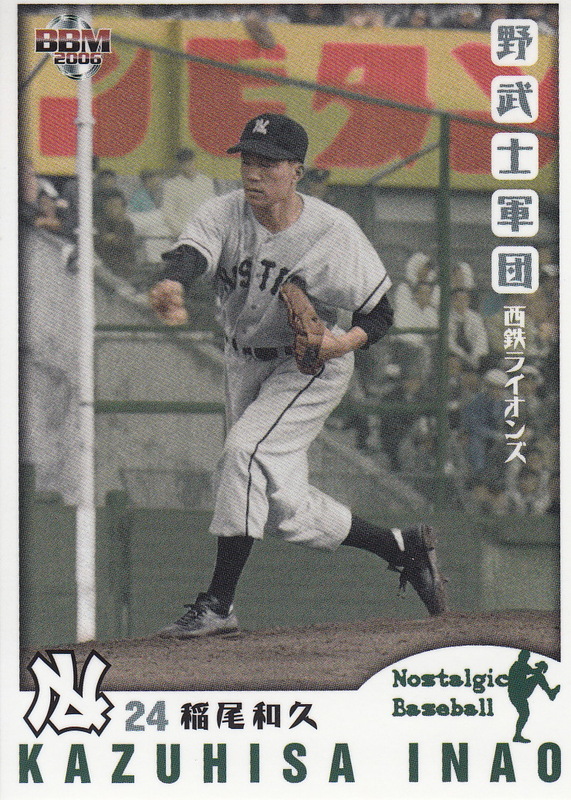 (I've been a bit confused on one point with this - it appears to me that Nishi Nippon and Nishitetsu are actually the same company so it would appear that one company had owned two teams in 1950.) 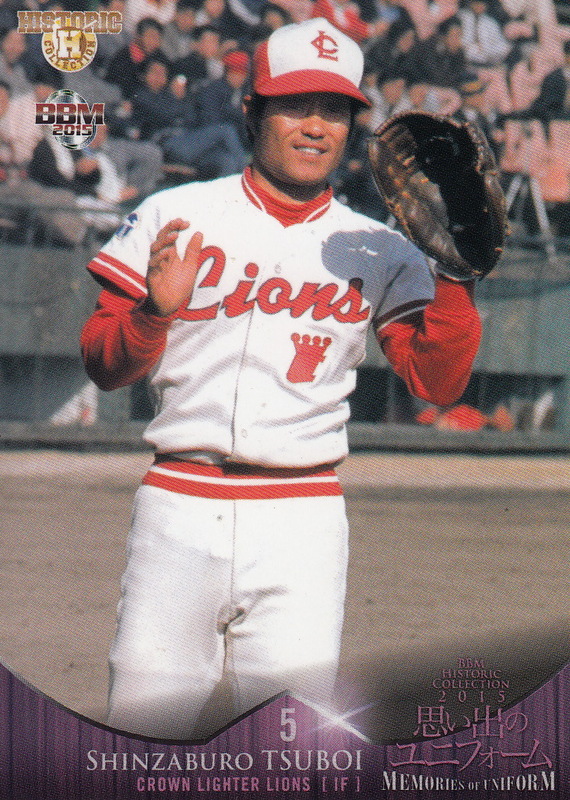 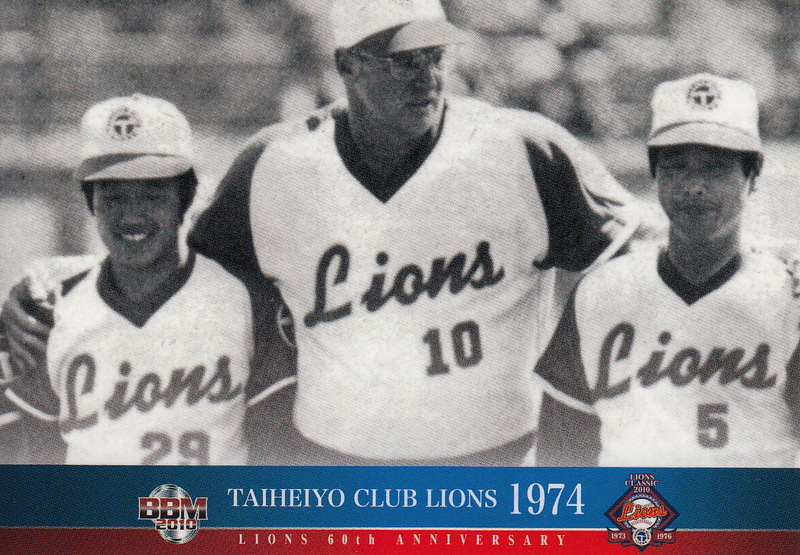 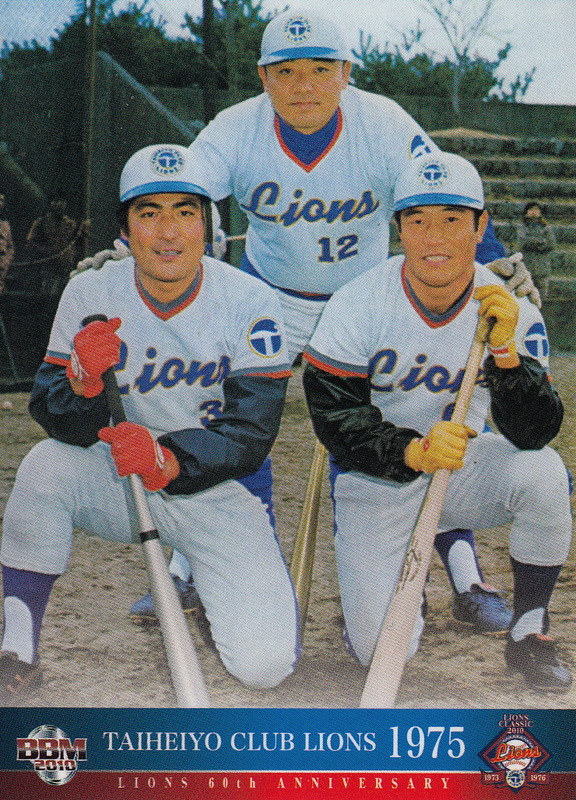 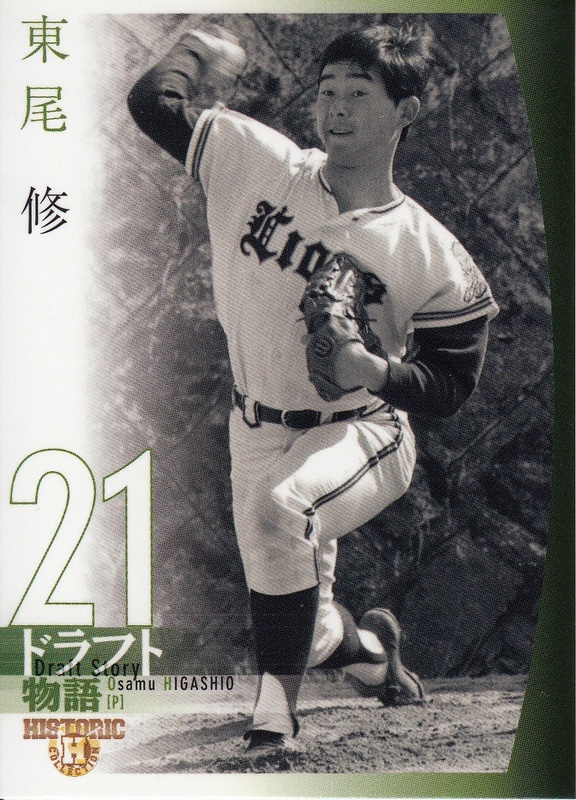 Following the 1972 season, Nishitetsu sold the team to the Fukuoka Baseball Company who essentially sold the naming rights for the team to a golf resort so the team became known as the Taiheiyo Club Lions. 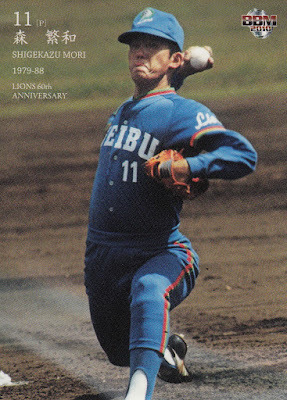 Before the 1977 season, the naming rights were sold to the lighter manufacturer Crown Gas Lighter and the team became the Crown Lighter Lions. 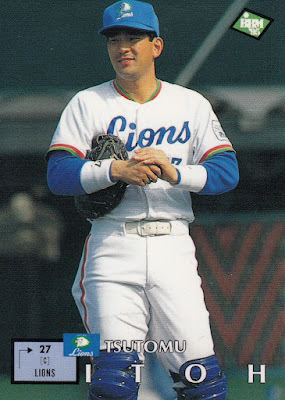 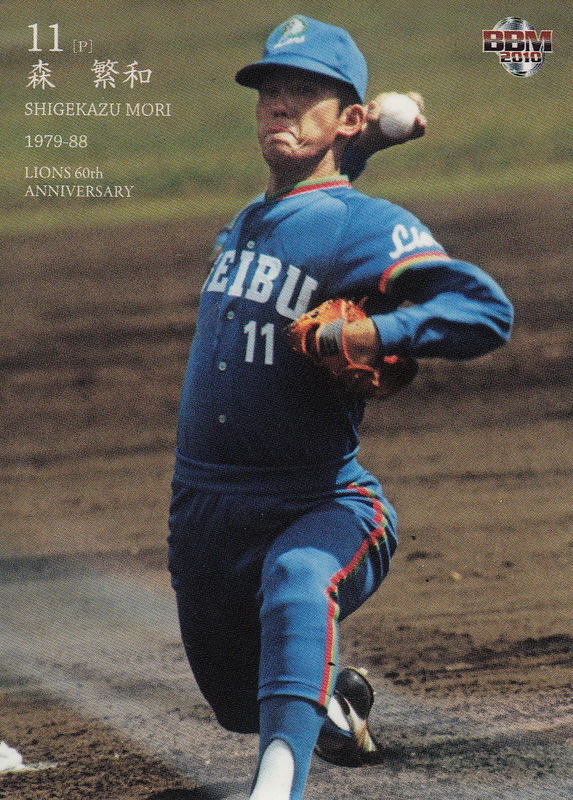 After 1978, however, the Fukuoka Baseball Company sold the team to the Seibu corporation who moved them to a new stadium in Tokorozawa, Saitama and renamed the team the Seibu Lions. 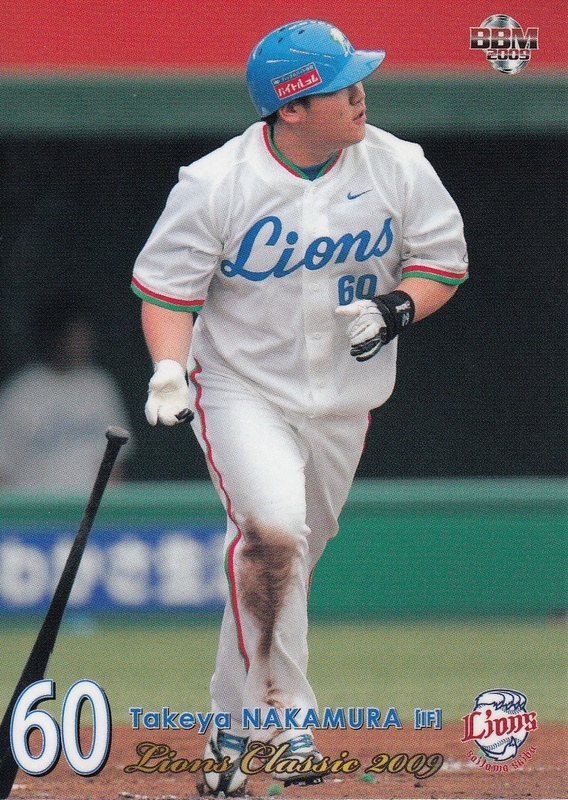 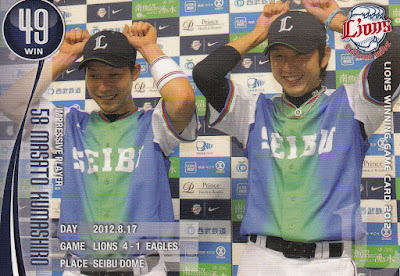 In 2008 the team added the prefecture name to the team name and the team became the Saitama Seibu Lions. 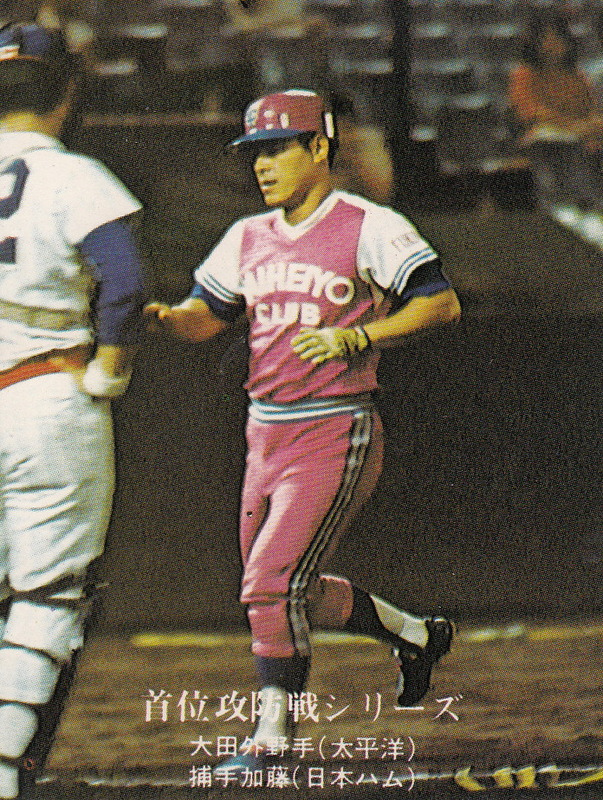 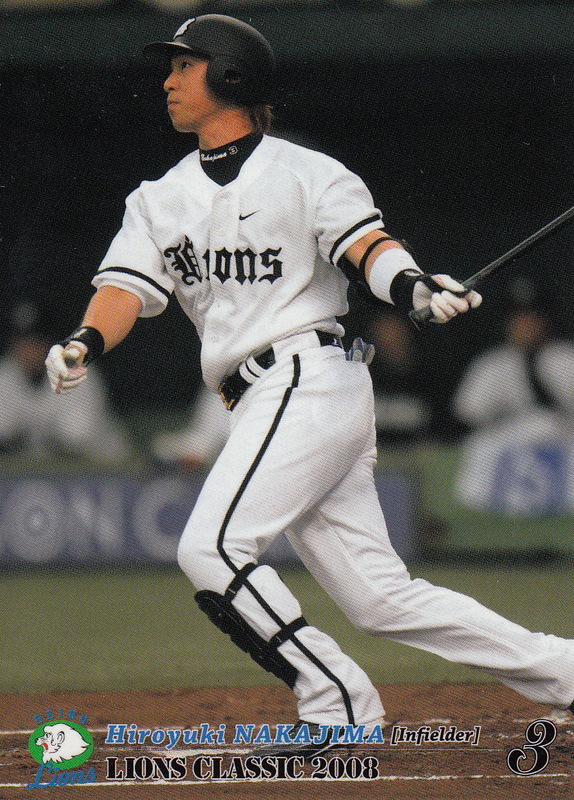 I'm going to include the Nishi Nippon Pirates uniforms here since they were only around for one year. 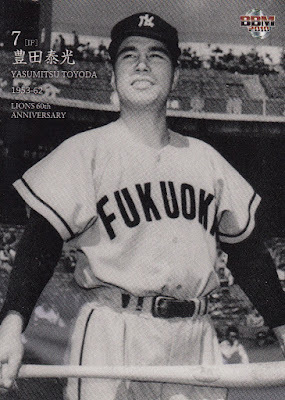 I'm not sure why there would be uniforms with "Lions" on them dated 1950 when I didn't think the name change came until 1951 but there's obviously something going on that I don't fully understand. There's a bunch of discrepancies between PBUE and HOU. The biggest one is that PBUE lists two uniforms in the 1951-52 time frame that HOU does not. 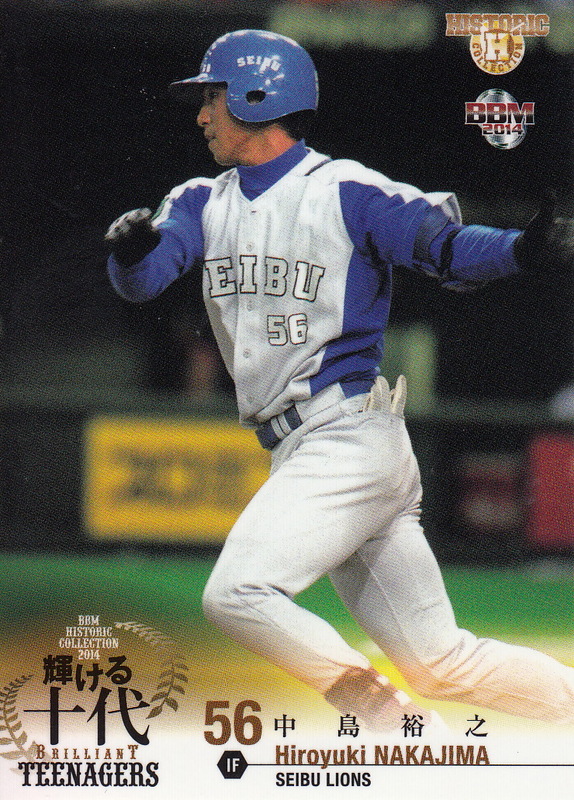 For the most part I've gone with the PBUE listings. 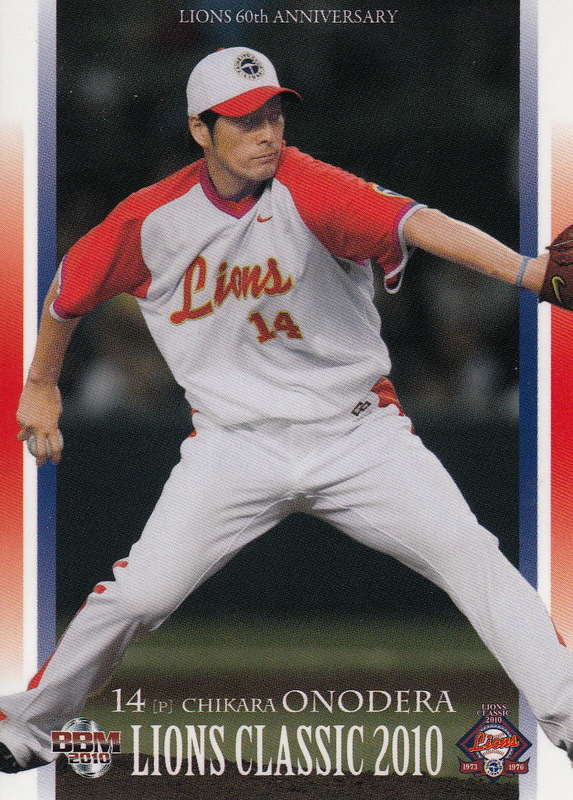 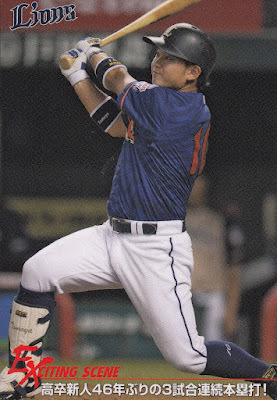 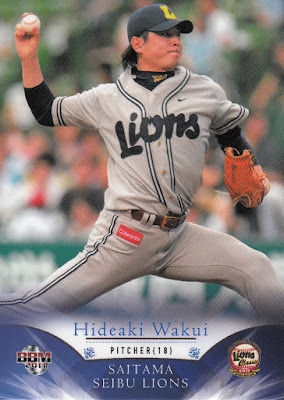 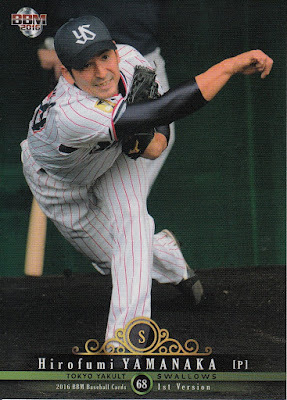 If I didn't have the card with that 2011 Alternate that Hiroyuki Nakajima's wearing, I wouldn't know it existed - somehow both PBUE and YakyuBaka missed it. There's a lot of subtle differences between uniforms. 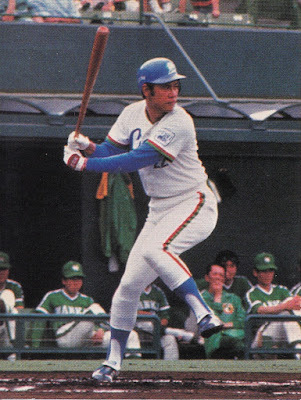 The 1979 uniforms appear to only differ from the 1980 ones in that the later ones had belts. And I'm not sure there's a difference between the Saitama alternate jerseys from 2013-14 and the away jerseys worn from 2015 on. 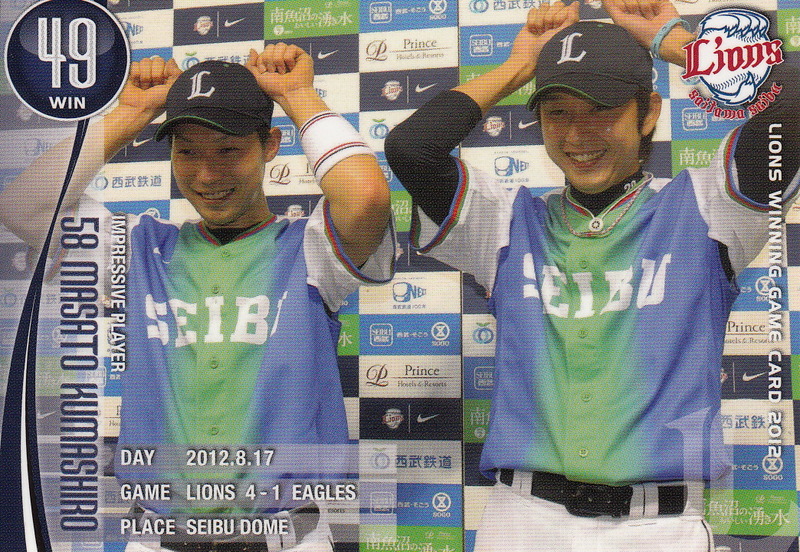 I'm not positive that the two "training" uniforms from 2009 are really uniforms only worn in training camp. But the only cards I've seen that include those uniforms are cards of new Lions players in the 2009 1st Version set - photos that had to have been taken during 2009 spring training.